Write About - Why do you write? What did you write today? Why? Do you see writing as an escape? As a way to clarify what is difficult for you to say out loud? Do you write for fun? Do you write to share with others? Do you see crafting stories and poems as a form of art? Do you write to inform? Is your writing a tool for social justice? 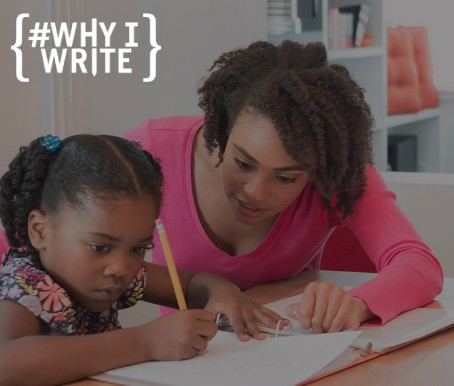 Any reason to write is important, and we want to know why YOU write.